Among what's new and unmissable in innovation, special mention certainly goes to the flagship product of the collection, that is a Woven jacquard fabric with a graphene polyurethane membrane which guarantees exceptional performance as well as thermal comfort. Thanks to the bi-elastic fabric of the RELYFE project, the product is therefore considered eco-friendly and responsible, and in line with R.R.R. company policy. Energetic, lively, material and tangible, quick and irreverent: the SS 2018 TAIANA CULT collection avoids any definition but the afore-mentioned adjectives are the ones that best depict it. 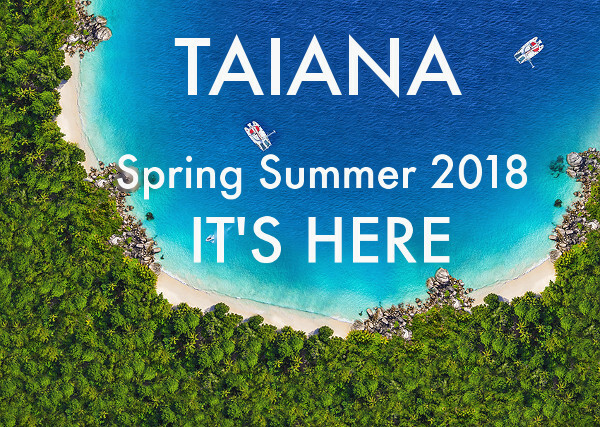 It is the theme of contrasts, veiled or declared oppositions that accompanies and goes through the entire SS 2018 Taiana Vanity collection: a very careful and well-measured research that aims at discovering the origins of women’s elegance.